We send hundreds of emails each month, hoping that they reach their target and convey the intended message. A poorly written email can cause what you are trying to say to become lost or end up unread. To prevent that from happening, here are some tips to help you compose a professional email. An email should convey its intended message while being as short as possible. For instance, the maximum that a casual reader can process without needing to refer back to the email is usually around three sentences. Take the time to read and re-read your email to ensure you have nailed your point. Check for spelling and grammatical errors before sending. When possible, try to convey a single message per email. Use numbered lists and bullet points to help your email recipient to find important parts of the email quickly. You can also separate information while drawing the attention of the reader’s eye by emphasizing words using bold or italics. Try bolding just three or four words – too much bold or overuse of italics can not only be jarring, it can be difficult to read. The words you bold should be the most important words in the email. An example would be a request for an interview, please find my resume attached. 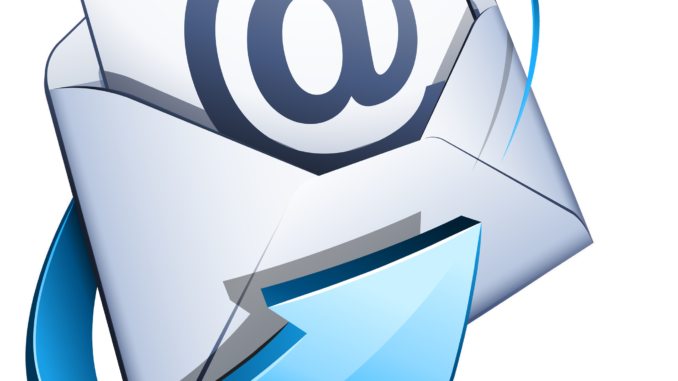 People often use email programs that may not recognize certain fonts, different colors or text sizes. Keep these things as consistent as possible, especially if the colors and fonts are embedded within the email. This is also true for photos and images embedded within email text. A company logo that has become altered or simply doesn’t show up within a certain programs will cause your email to appear unprofessional. Attention can be drawn to points you want to emphasize in other ways. Though most of us have heard this one before, it continues to be a common mistake. Using all caps, even for ONE single word in a sentence, can be jarring and cause the reader to believe you are ANGRY or upset about something. Using all lower case can be just as bad. It can make your writing style seem sloppy and lazy. Be sure to use a capital letter at the beginnings of sentences, for peoples’ names and for proper nouns. And make sure you use correct punctuation while avoiding excessive exclamation points! There are few things worse than receiving a million emails with no clear subject. “From Ashley” or “hello” are titles that force the receiver to open your email. Communication needs to be easy in today’s busy world. You can do this by writing short, effective, and direct headings such as “A quick question about today’s meeting, not urgent”. As you forward the email on, change the subject heading. For example, “Got the invoice code, need Client X’s phone number” might be your next heading. Remember that unless you are sending it from your personal computer, an email is company property. If it’s something you would not want the CEO of your company to see, don’t email it. Many companies have serious email communication policies, meaning that emails can be retrieved, examined, and used in court if necessary to prove a point. Encryption devices can be used if you want to make emails more secure. You can find a good list of these products at this Wikipedia page called ‘encryption devices’. So much of business is about developing effective working relationships, which is difficult to do using a strictly digital format. Email is an incredibly useful tool for communicating but it is not everything. Don’t underestimate the value of a personal visit or phone call. Instead of emailing someone in your office, go and talk to them if you can. If there is a big problem to solve, making a phone call can often be an efficient way to take care of several questions without the hassle of replying to numerous emails.